If you want to block calls in your Android phone powered with Android Marshmallow, then you don’t have to install any apps for it. 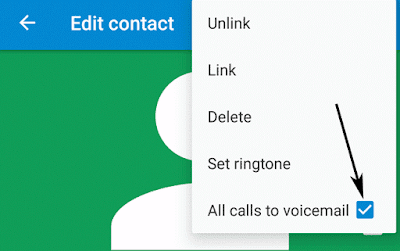 There is a special feature that comes with the installation of the latest Android which redirects the caller directly to the voicemail. That means, you won’t be picking up the phone or even be receiving a call from the unwanted caller. They are directly sent to the voice inbox. This call blocking or rather call avoiding feature comes as a part of the Contact app. If you open Contact, tap on someone to expand the information and edit it, then you will see an extra option that states “All calls to voicemail”. The feature was always present in a number of vanilla Android builds and you will see it in the latest Android if you have a phone like the Nexus 6P or even Nexus 5X. How other device manufacturers apply this feature is totally on their end so we can’t speak for all the Android phones. From your app drawer, tap on the app that says Contacts. Find and tap on a contact that you want to block. Click on the pencil like icon from the top right to edit the contact. In the top right corner, you will see the three dots option menu which you have to tap. Check the option that says All calls to voicemail. Now, when the particular contact will make a phone call, they will be directly redirected to the voice mail service. It is usually provided by your telecom and works if you have activated it. Otherwise, it just hangs up the call no matter how many times the phone call is made. This is a good way to avoid someone if you are looking to. Don’t forget to check the same option off to unblock a number in the future.